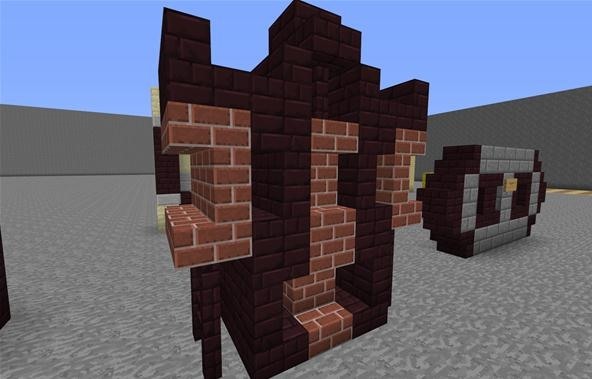 Several new block types were introduced to Minecraft when 1.2 was released, expanding the potential for builders throughout the world. 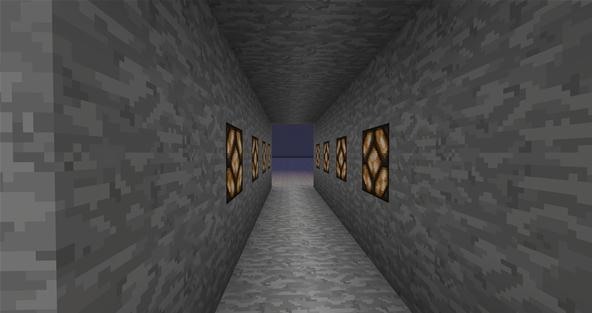 Actually, so many new block types came out that it became overwhelming for some players. Where do you even begin? Not to mention, with upside-down stairs and top half slabs, the possibilities are endless. Last week's workshop focused on sharing tips and designs while incorporating the newer 1.2 blocks in fantastic ways. We've also done a lot of workshops in the past that involved architectural design, interior design, etc. 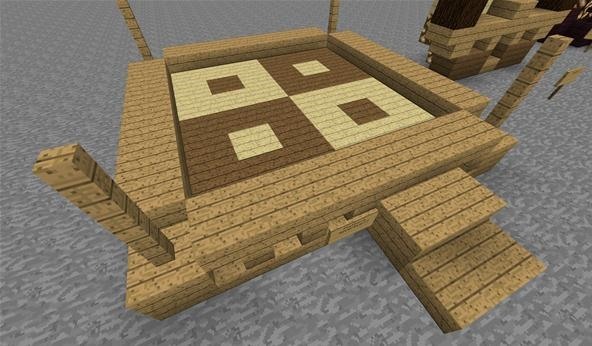 To top it off, Leinad has showed us some tutorials on flooring, stair tactics, and even inset flooring! 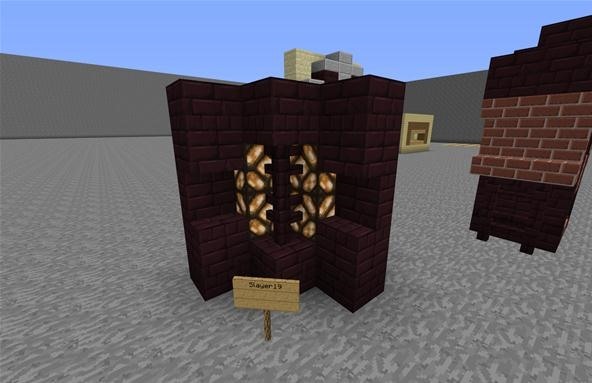 Be sure to check those out to get extra ideas for your next build! 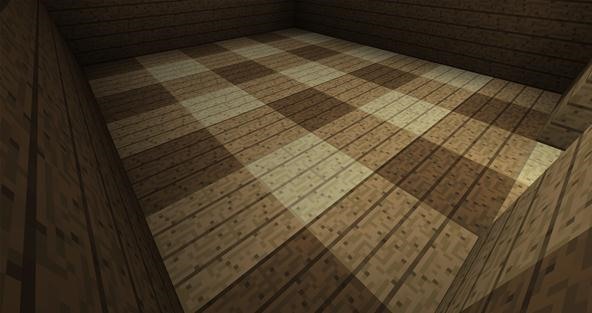 My personal favorite design when using the new wooden planks is this almost checkered pattern. It is so inviting and really adds that much-needed warmth in a living space for your build. This particular design uses birch planks, spruce planks and the standard oak planks. 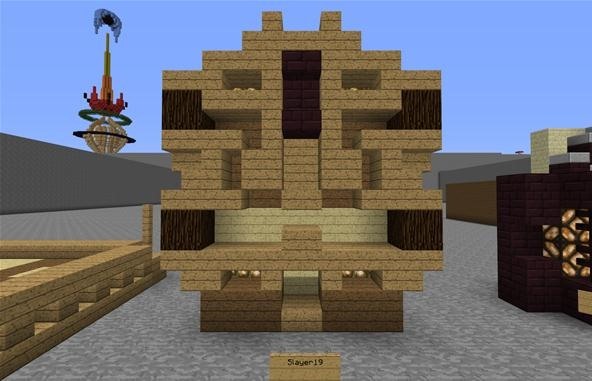 Silverbug12 created this adorable platform which could be used in so many ways. The design on the inside floor could be used as a carpet or simply the centerpiece to your solid plank floor! Here's the detail on the sides using half slabs and stairs. A week or so ago, we found this design on the server in a random spot. I can't remember off the top of my head who thought of this flooring design, but I can't get enough of it! Not only does this carpet give the illusion of circles, but it works as lighting, too! 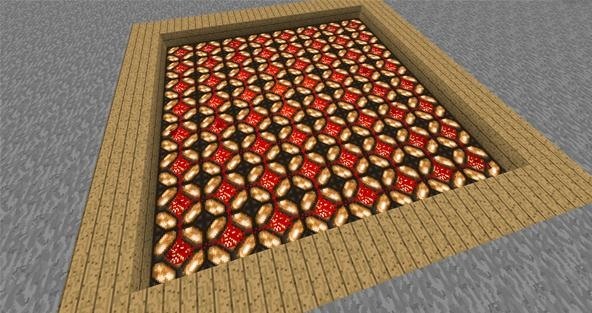 This carpet design uses redstone lamps, 1 redstone torch in the center, and redstone dust covering the entire top. With upside-down stairs and top half slabs, the possibilities for windows are endless. Grab one of these designs below or try out your own designs! 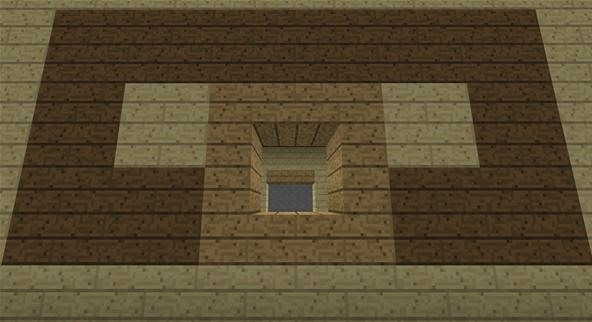 If you play on a PvP server, this window would be perfect for you. Not only can you see outside the window, but no one can attack you through it! The hit box still shows up as normal, but because the hole for the window is actually the inside of stairs—nothing can get through! Slayer19 was really busy creating tons of fabulous designs for walls and wall accent pieces. I'm going to show you some of my favorites! 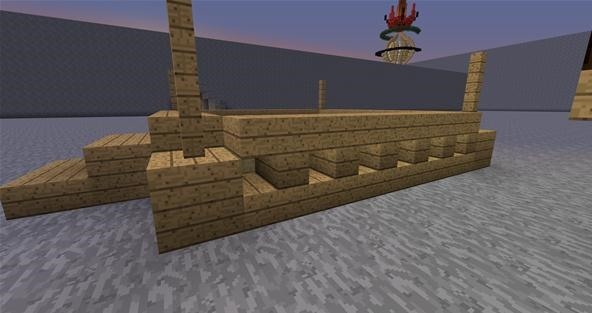 First up, he created this beautiful wall design using upside-down stairs, the new spruce planks, birch planks, and top half slabs. 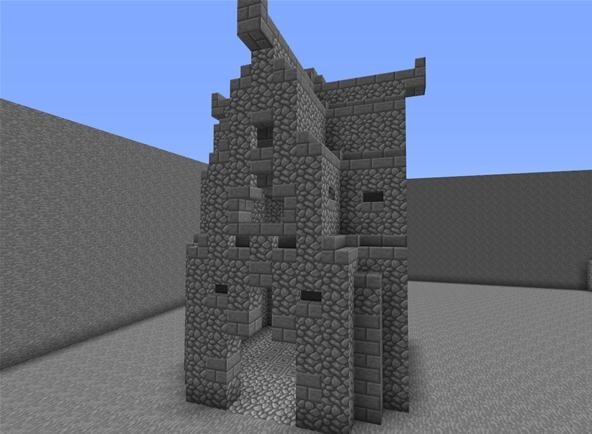 It's such a unique design that would work perfectly as an accent detail to a castle wall—even the side of a building! Here's another design from Slayer19! 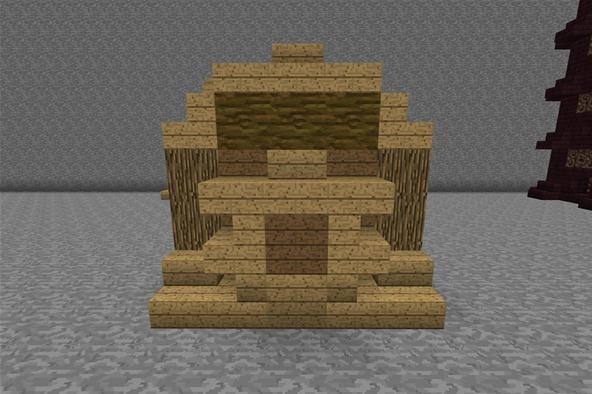 Using brick upside-down stairs and upside-down netherbrick stairs, he created this unique masterpiece. So few blocks were used, and yet the detail still makes a huge statement. Another favorite from Slayer19, we have this corner wall accent. Not only does it have lighting, but it reminds me of a corner hutch you would see in the dining room. I love this piece and will definitely be using it! Leinad0716 got right to working on pieces to show off for the workshop. He created several gorgeous pieces, and I'm going to show you my favorites! First, this wall design is so simple, yet the added forest logs at the top make it appear as if it's one log laying horizontally! Not only could this be a wall detail, but it would make an absolutely unique fireplace! Using upside-down stairs around the edges of your ceiling and filling in the rest with top half slabs gives you a great lighting feature. 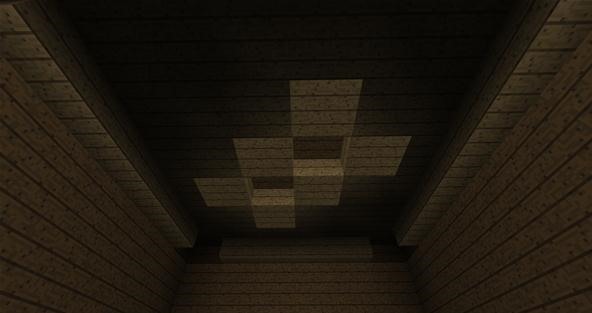 You can even add lighting inside the holes you make on the ceiling to give the lighting effect a more intense look! 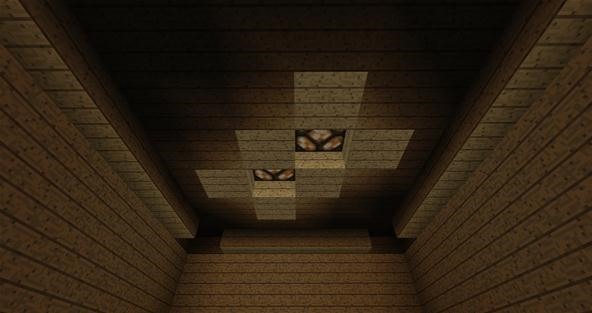 small_drum and DucksTheName created a simple lighting technique using redstone lamps. 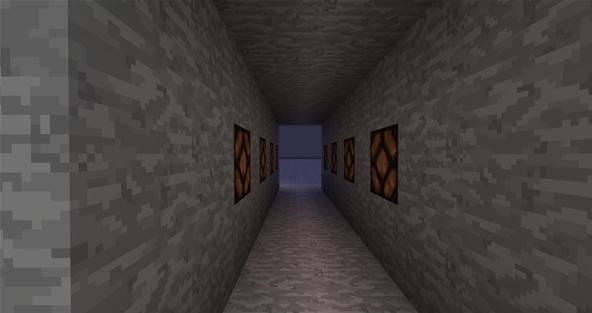 Walking up to the hallways of redstone lamps, the lights are off. Click the button located on the left wall, and the will light up real quick, fading out. Not to mention each side is perfectly timed with each other! Leinad0716 spent most of his time working on completing some great designs that incorporate 1.2 design. 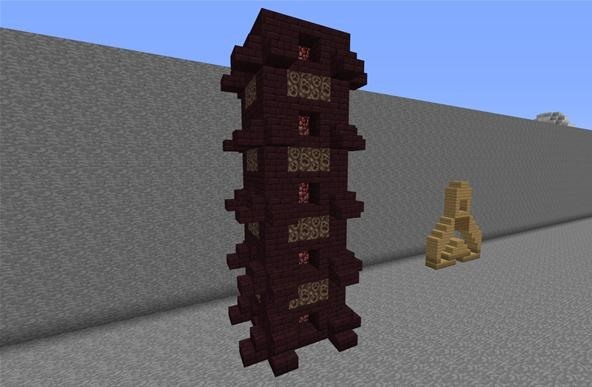 This first tower is made using upside-down stairs, soul sand, netherrack and standard netherbrick stairs. It's a very spooky-looking tower and I absolutely love it! 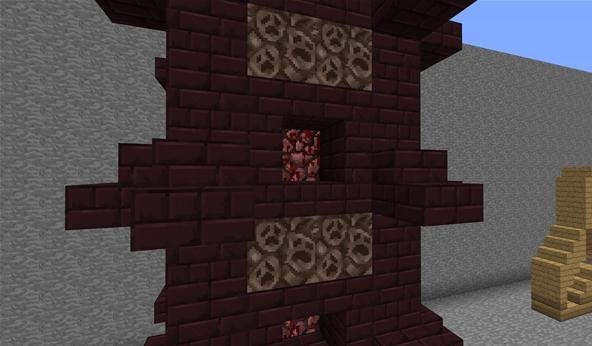 If we look closer at the design, you can see that he used the window method we just covered earlier in this article. 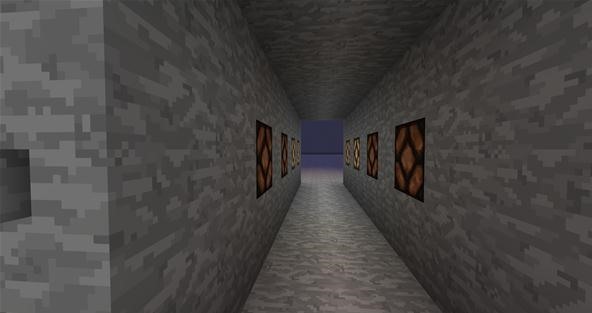 It's a great way to add a splash of color for that added detail that is always sought after in Minecraft! This amazing piece of work that Leinad0716 created is my favorite! It really shows off the possibilities that 1.2 has enabled us to achieve. 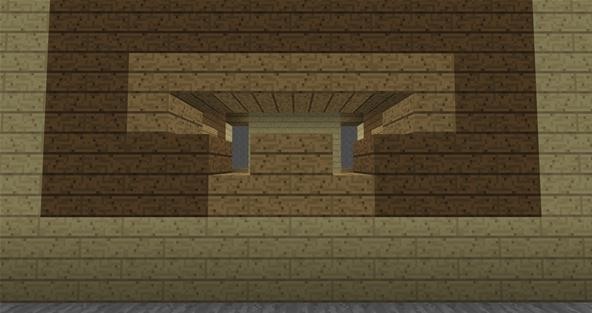 Although he didn't use the new block types, he did use the upside-down stairs and top slabs, which I think we can all agree has been awesome! So, there we have it guys, my favorite designs from last week's workshop! Do you have some design tips you would love to show off? Don't hesitate to show off your work in the community corkboard! Everyone will be able to see your post on the corkboard, and I can even feature it for you! What was your favorite tip from this workshop? What design do you see yourself incorporating into future designs? Have any ideas for future workshops?